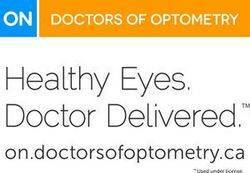 Looking for Quality Eye Care in Mississauga or Brampton, ON? 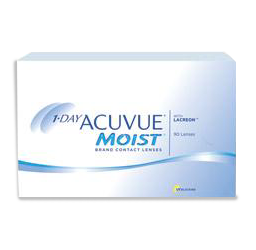 Our eye doctors can confidently provide the eye care services you need. Listed below are some of the key eye care services that our optometry offices offer. At Brampton Vision Centre and Mississauga Vision Centre, our optometrists’ number one priority is helping you maintaining the clearest vision you can throughout your lifetime. To achieve our goal of consistent great vision for you, we provide a yearly service called refraction. Refraction determines what eyeglass or contact lens correction is necessary. We are able to provide diverse vision care services on site due to the the multi-faceted nature of our practice. At our office you will find all the state of the art diagnostic equipment, including retinal imaging cameras and the Optical Coherence Tomography (OCT), the latest in visual field screening. We take pride in our services by taking the time required with each and every patient. Our vision prescriptions will determine the vision you operate with in your daily life. Because you value your eyes and vision, make sure you use Mississauga Vision Centre and Brampton Vision Centre for all your vision needs. At Mississauga Vision Centre and Brampton Vision Centre, our optometrists are equipped with the latest technology in the optometry business. Orthokeratology is the process of reshaping the eye with specially-designed rigid gas permeable contact lenses. The goal of ortho-k is to flatten the front surface of the eye and thereby correct mild to moderate amounts of nearsightedness and astigmatism. 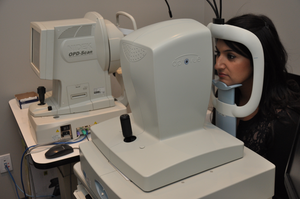 Our office is the premier low vision rehabilitation centre in all of Mississauga. We pride ourselves in prevention and treatment of eye disease but unfortunately not all conditions are treatable. The program provides comprehensive eye exams and glasses, by local eye doctors, to junior kindergarten students in participating school regions. Learn about eye health, vision, eye conditions and diseases, eye surgery, and how our eyes age.